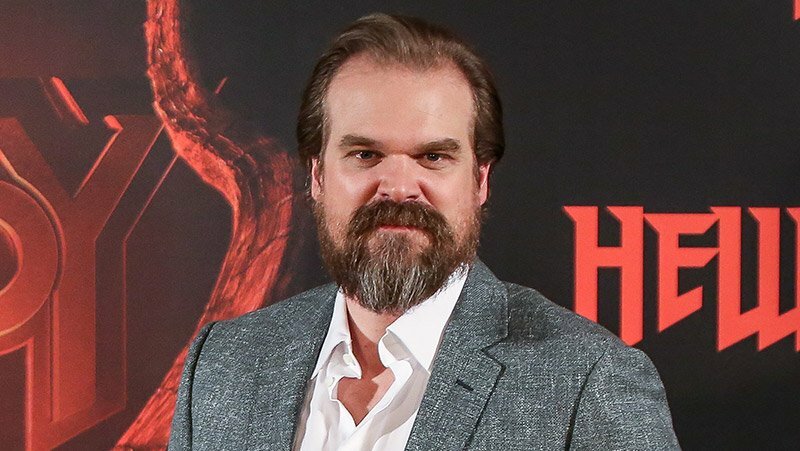 The Hollywood Reporter brings word that David Harbour (Stranger Things, Hellboy) will be joining Scarlett Johansson (Avengers: Endgame) in Marvel’s Black Widow. Oscar winner Rachel Weisz (The Favourite) is also in talks to join the film. The standalone feature centers on Johansson’s Natasha Romanoff, a spy and assassin who grew up being trained by the KGB before breaking from their grasp and becoming an agent of SHIELD and an Avenger. Details on Harbour’s character have not yet been revealed, but the actor will be joining the previously announced Florence Pugh in the movie. Harbour can next be seen in Lionsgate’s Hellboy, which will arrive in theaters on April 12, followed by the Season 3 launch of Stranger Things on Netflix on July 4. Black Widow is said to be a prequel to the heroine’s first MCU appearance in Iron Man 2. This presumably means that Natasha will be portrayed in a less scrupulous light than bef0re. In other words, viewers might gain insight into her time as a KGB assassin before Nick Fury and Clint Barton recruited her to join S.H.I.E.L.D. If Pugh is indeed playing Natasha’s moral opposite in the movie as was described, this potentially means that her ethical compass is more robust than Johansson’s ruthless killer. The movie is being directed by Cate Shortland (Lore) from a script by Jac Schaeffer. Plot details are being kept under wraps as the project heads towards a production start in June in London.